It's official Lionheads are a recognized ARBA breed. Wooohooooo. Are you looking for Lionhead, Mini Lop or Netherland Dwarf Rabbits in PA. At Lion Valley Lionheads we strive to breed to the current lionhead standard, as well as Mini Lop, and Netherland Dwarf standard. Only quality rabbits are used in the breeding program. 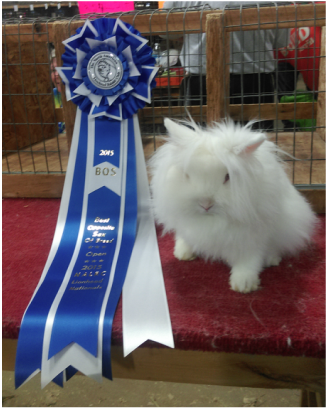 I attend shows with my Lionheads, Mini Lops and Netherland Dwarf to see how they compare with the standard. This allows me to choose the best of my rabbits for breeding. It also points out an individual rabbits strong points and weaknesses, so that I can compliment that rabbit with an appropriate breeding partner. I am striving to obtain a quality rabbit that will consistently produce quality offspring. I will offer pet quality and show quality babies. As this is a small rabbitry we will not always have babies available, but will be glad to add you to a waiting list. We are a family run rabbitry located between Harrisburg, PA and York, PA. Established in 2010.